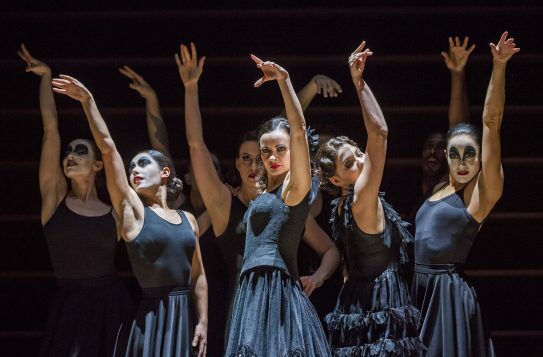 Carmen has always been a mutable opera and the Royal Opera has lately favoured both a traditionally costumed staging by Francesca Zambello and, extramurally, La Tragedie de Carmen, Peter Brook’s intimate chamber version for just four singers. 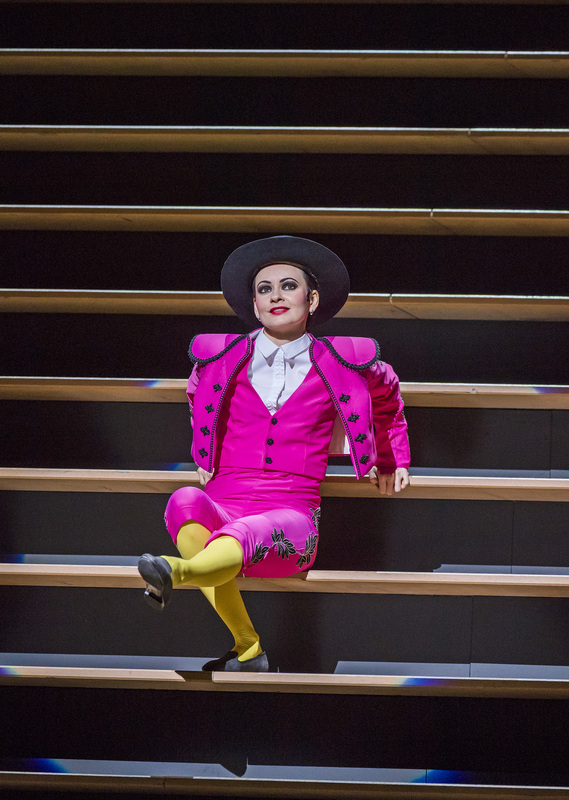 Barrie Kosky’s directorial rethink, originally staged at Oper Frankfurt, is as radical in its way as Brook’s. Kosky has reduced the piece to a series of deracinated tableaux linked by miked-up offstage narration. 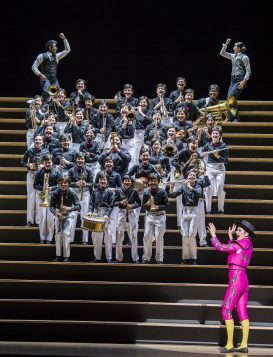 The Spanish archetypes are still present in the music of course, however unpredictably rejigged from the latest concatenation of available editions. 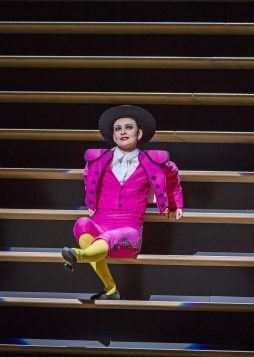 Kosky gives us a hyperactive blend of German Regietheater and updated commedia dell’arte; Carmen retains an androgynous look until the final scene imprisons her in a florid gown. 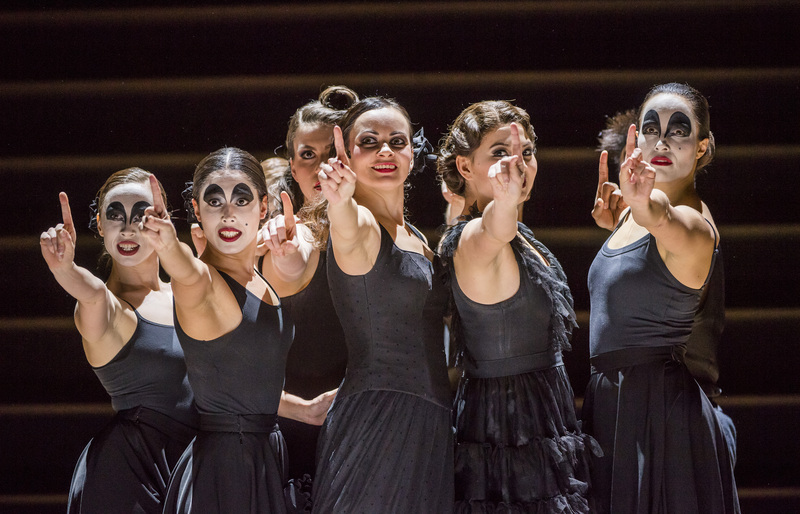 Making her first Covent Garden appearance, Anna Goryachova is suitably smoky in the lead. 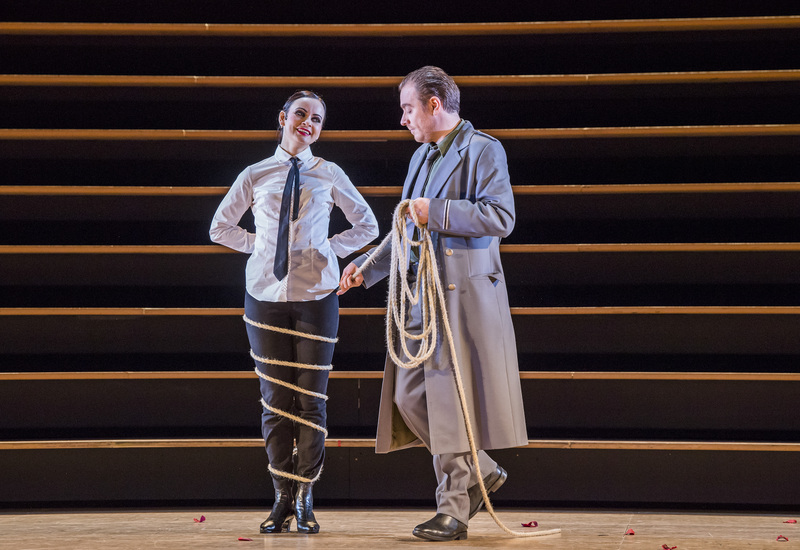 Sadly her voice sometimes centres just under the note, as if weighed down by the welter of stage business which leaves Kristina Mkhitaryan, in another house debut, relatively unscathed. Her Micaela has the subtlety lacking elsewhere and is almost touching. 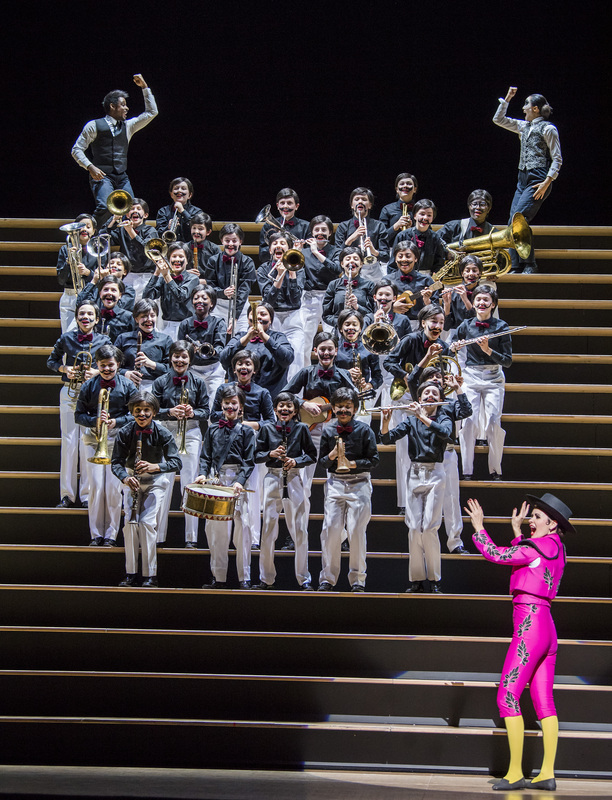 Francesco Meli is a respectable Don Jose, Kostas Smoriginas merely passable as Escamillo. The conducting is charmlessly efficient and the revue ends, quite literally, with a shrug. If that sounds negative, the incidentals, from the interpolated dance element to the finer points of make-up, are brilliantly achieved. 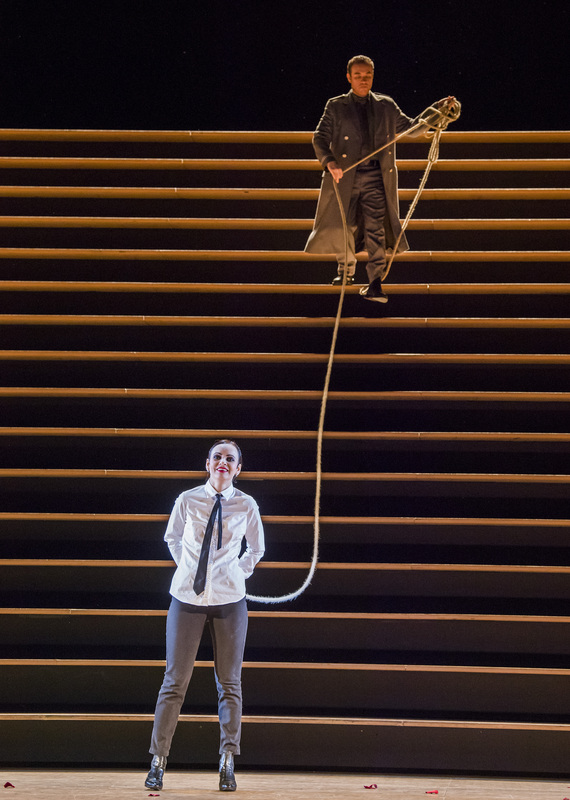 The single staircase set, often crammed with extras subverting as much as supporting the action, is lit with exhausting, daringly monochromatic radiance by Joachim Klein.